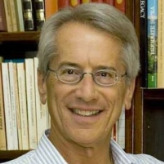 Giulio Terzi di Sant'Agata became ambassador of Italy to the United States in October 2009. Born on June 9, 1946, in Bergamo, Terzi earned a law degree at the University of Milan, specializing in international law. During his first two years at the Ministry of Foreign Affairs in Rome, he served as a protocol officer assigned to visits abroad by Italian government officials. In 1975, he was posted as first secretary for political affairs at the Italian embassy in Paris, France. After returning to Rome in 1978 as special assistant to the secretary general, he was in Canada as economic and commercial counselor for almost five years. Terzi was consul general in Vancouver, his service including the period of Expo ‘86, where he promoted events for Italian businesses and culture on Canada’s Pacific Coast. In 1987, he returned to Rome to serve first at the Department for Economic Affairs, focusing on high technology exchange, and later as head of one of the offices of the Department of Personnel and Human Resources. His next foreign assignment was to NATO in Brussels, Belgium, where he was political adviser to the Italian Mission to the North Atlantic Council in the immediate aftermath of the Cold War, German reunification and the first Gulf War. From 1993 to 1998, he was in New York at the Italian Mission to the United Nations as first counselor for political affairs and later as minister and deputy ambassador. Terzi serves as ambassador to Israel from April 2002 until 2004, a period characterized by the outbreak of the Second Intifada and improved relations between the European Union and Israel during the Italian presidency of the EU (July-December 2003). Terzi then served in the foreign ministry in Rome as deputy secretary general, director general for multilateral political affairs and human rights, and political director. For the next four years his responsibilities included international security and political issues, especially in the framework of the UN Security Council, the UN General Assembly, and the UN Council on Human Rights, as well as the Council of the European Union, NATO, the G8, and OSCE. He also advised the foreign minister on international security, focusing on the Western Balkans, the Middle East, Afghanistan, East Africa, nuclear proliferation, terrorism and human rights. Before becoming ambassador to the U.S., Terzi spent two years as Italy’s ambassador to the UN, where he also headed the Italian delegation to the Security Council, which Italy had joined as non-permanent member for the 2007-2008 term. In November 2008, he headed a Security Council fact-finding mission to Afghanistan. He was also chairman of a committee to monitor sanctions against North Korea. However the committee’s efforts were thwarted by the non-cooperation of the governments of China and Russia. During his posting, Terzi also concentrated on the issues of humanitarian intervention and protection of civilians in armed conflicts. Terzi and his companion, Antonella Cinque, have twin children, a boy and a girl.